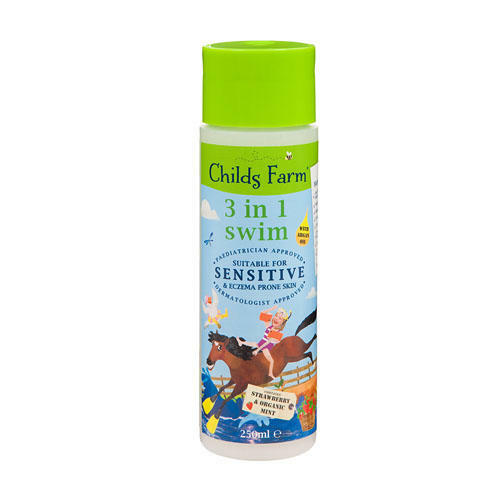 Hi [INSERT YOUR FRIEND'S NAME HERE], Please check this out https://www.proactivehealthcare.co.uk/childs-farm-strawberry-mint-conditioner?referrer=0 and get £4 off your first order (minimum order £30 excl. shipping). Thanks! Ingredients: Aqua, Cetearyl Alcohol, Cetrimonium Chloride, Benzyl Alcohol, Citric Acid, Parfum, Hydroxypropyltrimonium Honey, Hydroxypropyltrimonium Hydrolyzed Wheat Protein, Niacinamide, Dehydroacetic Acid, Sodium Starch Octenylsuccinate, Mentha Arvensis (Peppermint) Oil*, Calcium Pantothenate, Maltodextrin, Sodium Ascorbyl Phosphate, Tocopheryl Acetate, Pyridoxine HCL, Silica. After shampooing hair, squeeze a large dollop onto hand and smooth through hair. For perfect results, comb through with a wide tooth comb or our Bath Time Brush. Rinse thoroughly with warm water and marvel at how smooth and tangle-free hair is. If product gets in eyes, rinse well with water. External use only. If irritation occurs wash with copious amounts of water. If irritation continues, stop use.